A photo is a fun way to represent the mission or personality of your Office 365 group. It also differentiates your group from others so you can find it quickly among the list of groups you belong to. The easiest way to add a photo is through Outlook on the web (Office 365). Changing the group photo from Outlook 2016 is not supported at this time. In the navigation pane, under Groups, select your group. At the top of the page, select > Edit group. In Edit group, select Change group photo. Note: If you don't see Change group photo, your administrator might have turned off this feature. In the Change group photo dialog, select Upload a photo. Navigate to the photo you want to upload and select Open. When you're ready for a different look or just want to revert back to the default image, it's easy to delete the current photo. 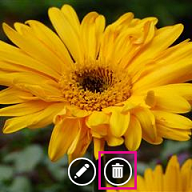 In the Change group photo dialog, select Remove. Note: If you don't see Remove, your administrator might have turned off this feature. In the group header, select the current picture. In Edit group, select Change photo. Note: If you don't see Change photo, your administrator might have turned off this feature. In Edit group, select Save. 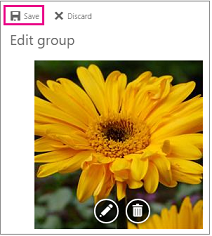 In Edit group, select Delete photo. Note: If you don't see Delete photo, your administrator might have turned off this feature. The default photo will be displayed. Select Save.